Marco Zito 16.2.1966 architect, graduated under Vittorio Gregotti at the IUAV in 1994. 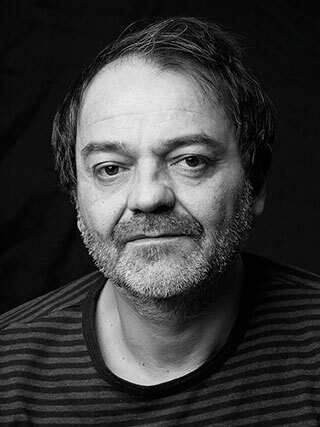 Since 1996 he has been teaching Industial Design in the faculty of Design and Arts of IUAV Venice. Invited lecturer at the Industrial Design Centre of Montevideo (Uruguay), at San Marco Centre of Kigali (Rwanda), at IMC – Industrial Modernisation Centre of Cairo, (Egypt). His studio, in Venice, specialises in product design, interior design and architecture. Design Index ADI 2004, selected for “Steelon”, Viabizzuno production. Published in Design Yearbook 2004 by Tom Dixon. Prize at “Batimat 2005” design for innovation trophy, Paris; the “lettere” illuminated system design, produced by Viabizzuno. Design Index ADI 2007, selection for “lettere”, Viabizzuno production. “New Italian design” exhibition, permanent design collection, Triennale di Milano. Winner of “Matitalia”, pencil for celebration of 150th anniversary of Italian unity, the “l’unita” produced by Fila. Projects with Foscarini, Agape, Salviati, Olivetti, Lavazza, Plust, Deltacalor, Coin, Electrolux, Casamania, Danieli Group, Fila, Viabizzuno, Bosa, Saba. Publications in Abitare, Domus, Casabella, Intramuros, Wallpaper, Interni, Ottagono, Diid, The Plan.